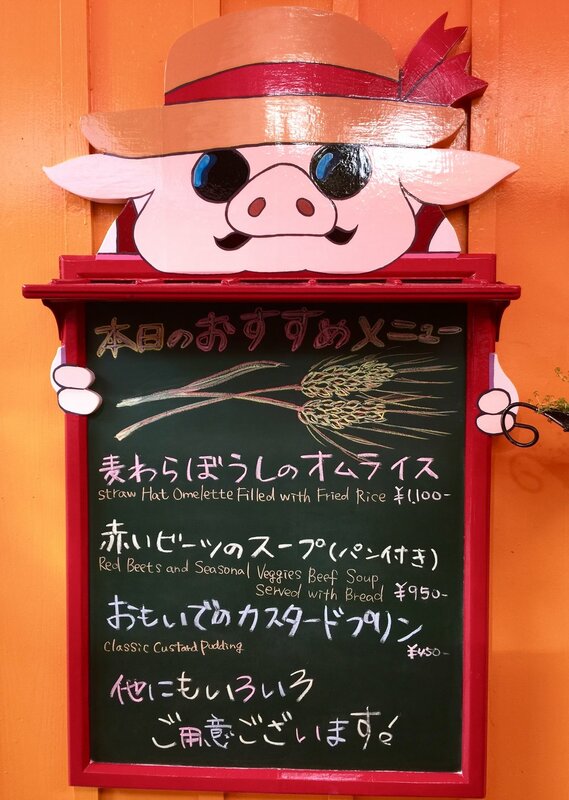 I loved every minute of my time at the Studio Ghibli Museum - this is a must visit for every Studio Ghibli fan. It was simply magical, like going to Disneyland or Harry Potter world. I was giddy like a little school girl! If you don't fancy a little wander to the museum you can get the Neko bus from Mitaka Station. You have to book your tickets months in advance, the official website will point you to an official ticket seller for foreigners. This was a Sunday though but I suspect it does normally get this busy on a weekday too. I would have loved to explore this place on a quiet day, it would be such a lovely museum to relax in! There are sooooo many little details to this museum, really take the time to absorb it all in, especially because there is a very strict no-picture policy within the museum grounds, even in the cafe we could only take pictures of our table. Quick sketch of the Laputa Robot on the roof. I would have loved to doodle some more inside but it really was just too busy. There were so many incredible displays inside and plenty of artwork from the movies. There was an incredible life size cat bus to sit in, I think that it is only there for a limited time, and the wonderful thing about the museum is that they have exclusive short films created just for the museum. The film we got to watch was about a lovable dog called 'Koro'. 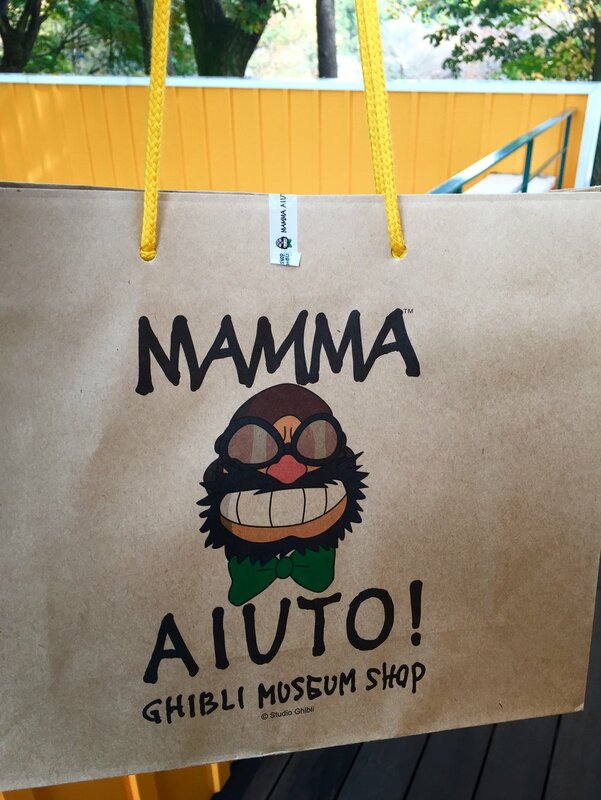 Of course the museum shop carries all sorts of exclusive souvenirs, it was so hard not going crazy in there! 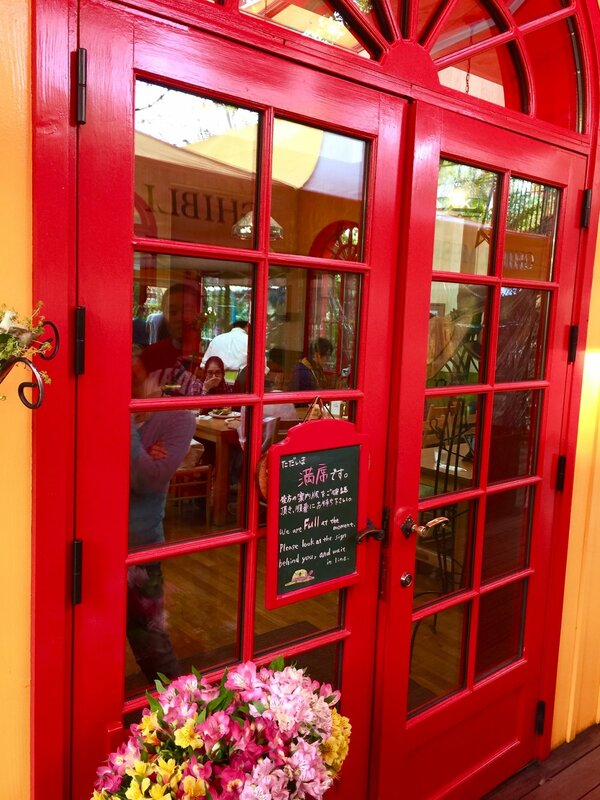 We had to wait at least an hour to get into the cafe but again, I'm glad we did, the interior is so charming! I could happily spend an afternoon sitting there drawing or reading a book. If you are a tea lover then don't get the milk tea! Thankfully they don't serve it to you with sugar but they frothed up the milk, a big no no in my books. Honestly the cake wasn't the best sponge cake either but it looked so darn cute! 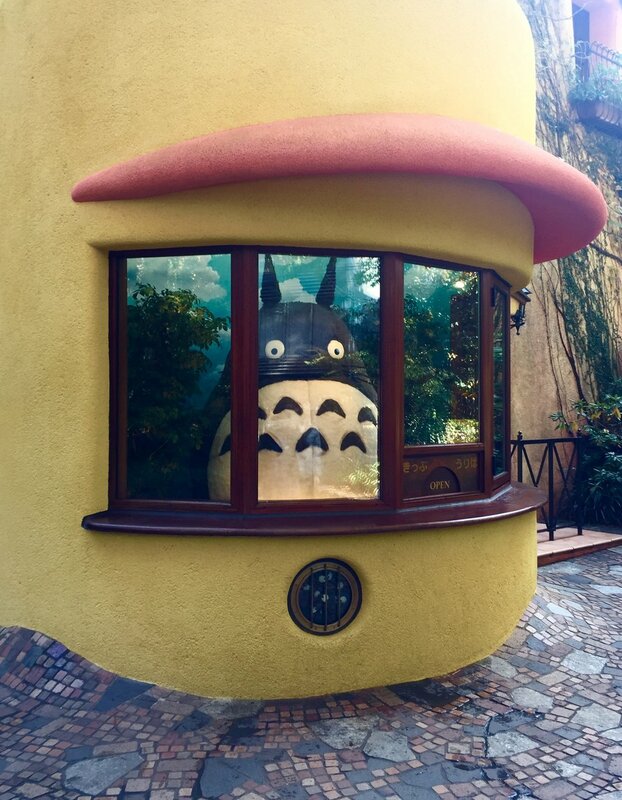 Any trip to the Studio Ghibli Museum should include a little wander in the park that encloses the museum - Inokashira park. Perfect around Autumn and I imagine it would be lovely during cherry blossom season.